If Bing Crosby were to have invited you to Christmas dinner, this is the floral decoration we could imagine gracing his table. 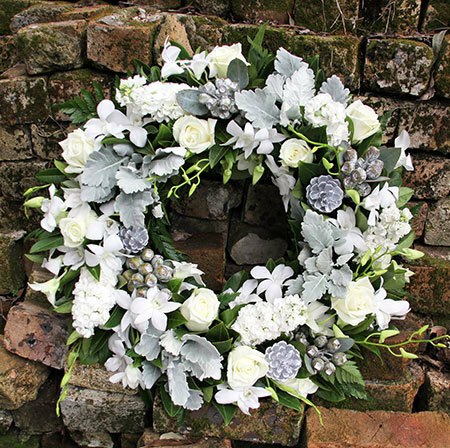 Timeless in white, green and silver, this stylish wreath makes the perfect centrepiece for your dining table or a fresh and festive embellishment to a coffee or hall table. 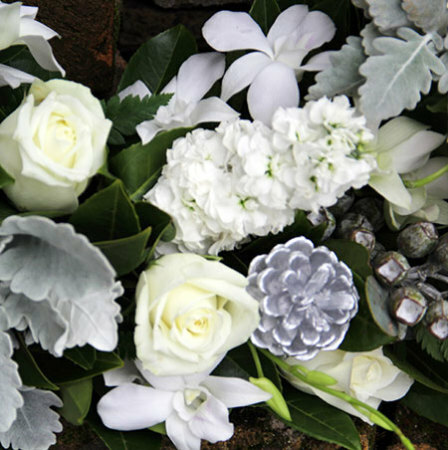 Designed by our creative florist team, it combines classic roses, Singapore orchids, perfumed stock (or similar), pine cones, native silvery tetra gumnuts, and lush green foliage. The perfect Xmas gift idea for someone who can be difficult to buy for, or to spruce up your home over the party season. 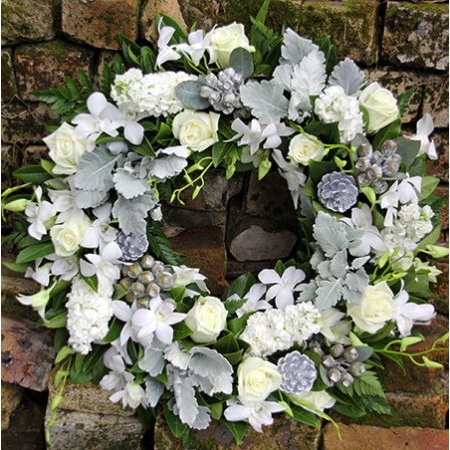 PLEAVE NOTE: The pictured wreath is exclusive to Sydney metro region only. For flower delivery outside Sydney, please contact our consultants directly on 1800 66 66 46 or email sales@flowersforeveryone.com.au to request a custom quote.